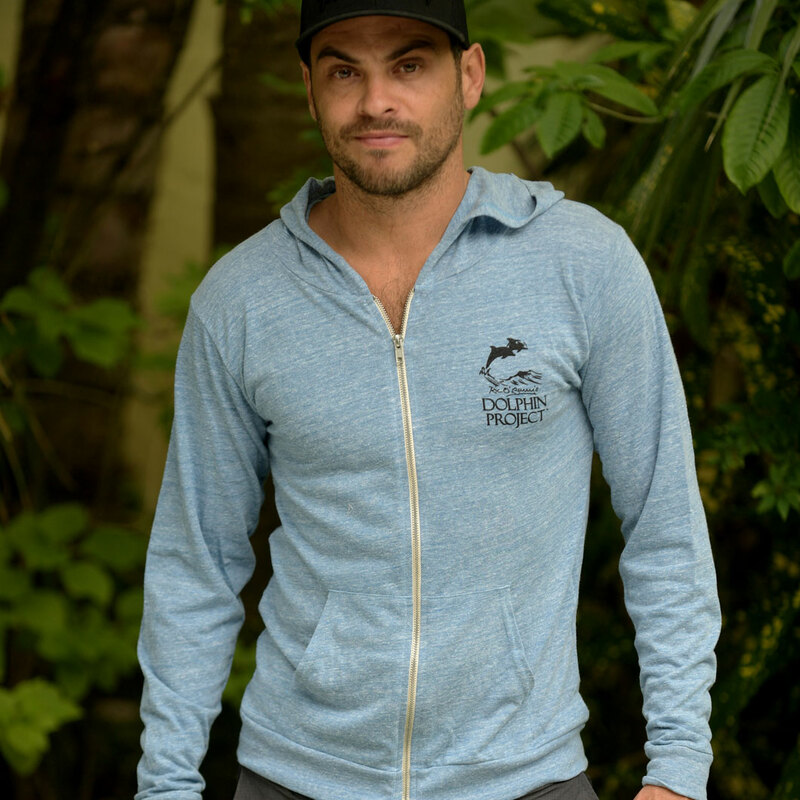 It’s hard to believe that traveling dolphin shows continue to exist. They do – in Indonesia – and it’s worse than anyone can imagine. Even today, dolphin traveling circuses are a big hit, where uninformed spectators pay pennies each to see the dolphins perform. The dolphins are transported from village to village, from city to city, for a period of four weeks at each location. Our team has documented their travels and obtained footage of dolphins spending up to three days in coffin-like boxes, trucked through Sumatra, Kalimantan, Sulawesi and Java. 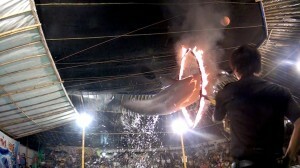 Indonesia’s traveling dolphin circus tent. The mammals are forced to perform in small, highly-chlorinated pools, the added chemicals so strong they burn the patrons’ eyes, let alone the dolphins swimming in them. Our team in Indonesia took water samples from the circus in central Java with lab results confirming that the amount of chlorine in the pool was eight times higher than the acceptable level for captive environments. Five times each day the dolphins perform to the amusement of the public, being fed only small pieces of fish during showtime to keep them hungry and willing to entertain. From jumping through hoops, to “dancing” to high-volume music, these routines are repeated over and over. We have also noted that the dolphins’ teeth have been compromised, presumably filed down to stumps in order to minimize the risk to patrons. How could this be allowed to happen? Isn’t their capture illegal? In order to avoid existing laws prohibiting the deliberate capture of dolphins, fishermen catch the mammals at night, claiming the dolphins were “rescued” from entanglement in fishing nets. In reality, the mammals are illegally being snatched from the Java Sea, but thanks to fishermen and those who stand to make huge profits from captive dolphin attractions, a loophole in the Law on Biodiversity, Number 5 – “Existing Laws and Regulations” is successfully being exploited. 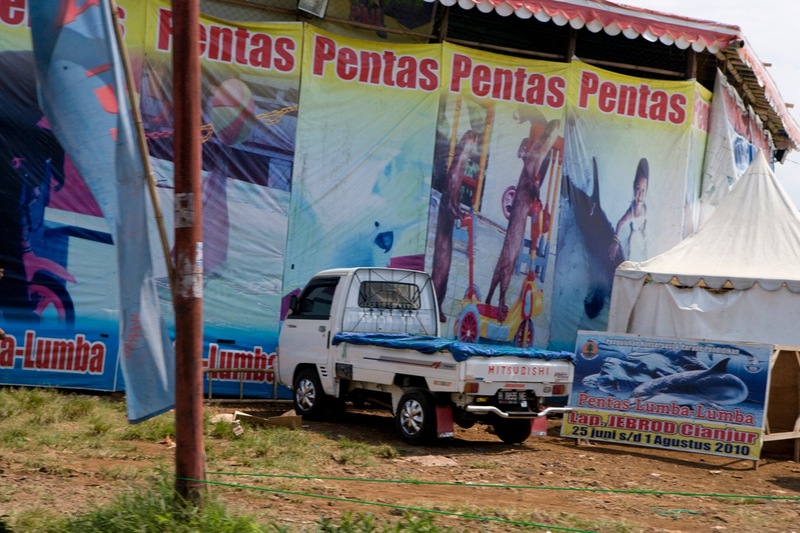 Sadly, the traveling dolphin circuses target students attending schools in the rural areas of Indonesia, where people are eager for diversions and easy targets for circus owners. Teachers are also preyed upon, with free tickets and commission incentives – along with promises that the shows are “educational” – ensuring schoolchildren will attend. The circuses make fast money, packing in as many visitors as possible. 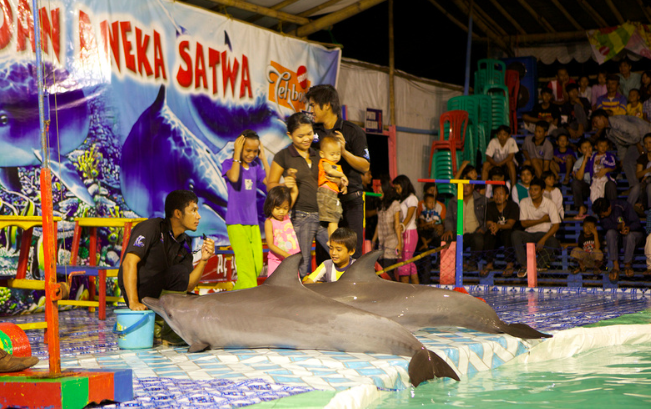 At present, there are three traveling dolphin circuses which have set up shop in Gresik (East Java), Tangerang (West Java) and Bukittinggi (Sumatra). Dolphins aren’t the only victims the circuses abuse, with other protected and endangered animals including otters, baby sunbears and cockatoos forced to perform degrading tricks. All the animals suffer, humiliated so people can laugh, and kept hungry so they will keep entertaining until they drop. 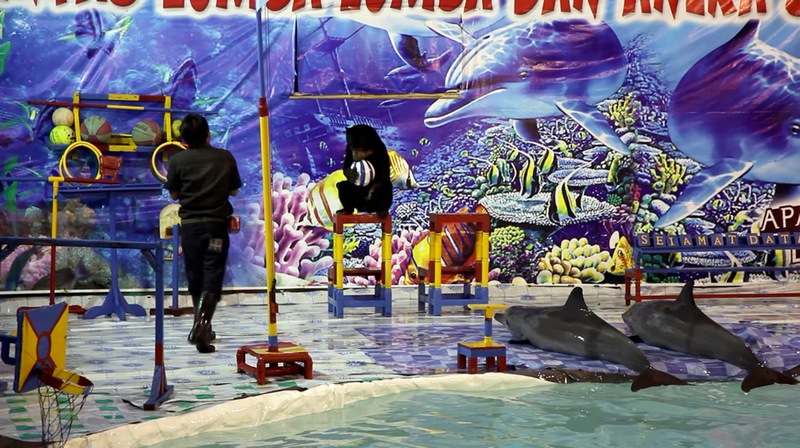 Dolphins perform in an endless cycle of misery in Indonesia’s traveling circuses. What is being done to help end the suffering of traveling circus animals? In the City of Balikpapan, after sustained efforts by Dolphin Project and many protests against the traveling dolphin circuses, the Mayor undersigned a commitment to no longer allow any animal shows in the city, keeping it free from animal exploitation. Dolphin Project hopes that other cities will adopt similar measures, thus, reducing the areas where traveling circuses can peddle their animal acts. Our team is lobbying the Indonesian government and have met with the Ministry of Education to no longer allow traveling dolphin circuses to solicit visits from schoolchildren during school hours. Dolphin Project has also launched a major campaign in Indonesia to close these exploitative operations including a graffiti & mural art initiative, electronic billboards throughout Indonesia, digital ads at the Bali airport and a traveling educational puppet show. Dolphin Project, along with our local partner Jakarta Animal Aid Network (JAAN) is working to lobby the Indonesian government to release the dolphins. We have constructed a sea pen, where the dolphins can be readapted for release back into the wild. The center is the first permanent facility of its kind in the world. Yet, despite a previous agreement to turn over the mammals, the government has not issued the necessary permits. As long as dolphins continue to be carted across the country in buses, trucks and airplanes, we will continue to fight for their welfare and freedom.